Even Barbie Needs a Gay Friend! It’s a known fact that any lady would love to have a gay BFF. 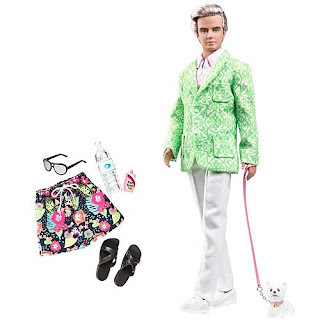 Well, it looks like Mattel realised that and chose to give Barbie her very own gay Ken friend called Palm Beach Sugar Daddy Ken. He comes with the pink polo shirt, the lime jacket, the little white puppy with the pink leash, a couple a necessory accessories and that very sultry look in his eyes! Love it! You can pre-order Sugar Daddy Ken HERE for 70$. He come out in April. Glow in the Dark Lingerie!